SEMrush’s website SEO analysis reports will help you find and fix on-site issues and boost SEO-optimization. Conducting an SEO-evaluation might seem a time-consuming job. But if you use the right tools, finding and fixing on-site errors can be carried out in an effective and fast way. With the SEMrush Site Audit tool, you can perform a comprehensive technical SEO audit at high speed! You can crawl your website at any time to get reports with the most fresh results. Just make sure not to exceed your crawled pages limit! Checking a website’s on-page health is indispensable to making and keeping a website SEO- and user-friendly. Whether you manage a small website or a large one composed of thousands of webpages, detection of issues can be challenging. You just cannot afford to spend days looking for every possible mistake in the code or checking for broken images or URLs. Where to start? The SEMrush Site Audit tools will show you! These SEO analysis tools check issues that are related to crawlability, content, images, links, accessibility and coding. All issues found are divided into three groups depending on their severity: errors, warnings, and notices. Check out SEO analysis reports and decide what to fix first! Improving your website’s health requires constant attention. But, how can you estimate whether your SEO efforts will pay off? The SEMrush SEO analysis reports will help you regularly monitor your website’s health. You can schedule a weekly technical SEO audit and our Site Audit tool will automatically start crawling your website. You’ll get a notification when it is finished in your inbox. By running website SEO audits on a regular basis, you are tracking the progress of your website’s health. 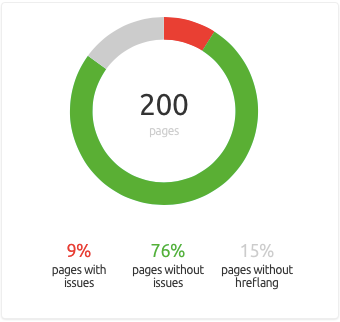 With the Compare Crawls and History reports, and mini-trends on the Overview, Issues, and Page reports, you can analyze the results of different SEO audits and track changes in the number of issues over time. Check reports regularly, and monitor if the number of issues found is shrinking! Remember to look at your site’s positions with the Position Tracking tool! Are your rankings going higher? If they are, you are on the right SEO-track! Ensure the best user experience for any visitor from any country. Detect hreflang issues in one handy report. When it comes to International SEO, hreflangs are a cornerstone. They are used to tell Google which page should be shown to visitors depending on their language and location. If you lack or incorrectly implement hreflang tags, you can seriously harm the user experience of your website. Check out the International SEO report, set up daily or weekly updates and discover hreflang issues with SEMrush! 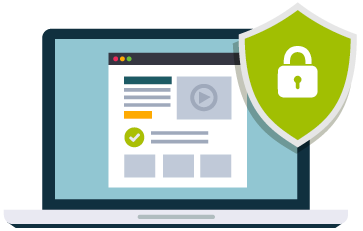 The new HTTPS report in Site Audit helps quickly detect security issues on your website. Website architecture issues - we alert you about internal links to non-secure pages, HTTP URLs in your sitemap, missing redirects from HTTP to HTTPS versions of the same page and usage of HTTP on pages with password fields. 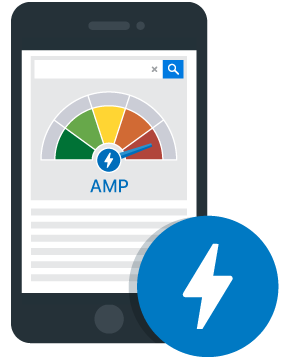 AMP (Accelerated Mobile Pages) format dominates mobile search results globally, facilitating user experience and offering webmasters numerous promotional opportunities that result from accelerated page load. SEMrush Site Audit features a unique functionality that no other tool on the market provides — batch AMP Audit. From now on, you won’t need to check your AMPs’ health manually, as SEMrush will do it for you! Enjoy the benefits of AMP with SEMrush!